Oh so pretty and great tasting too. 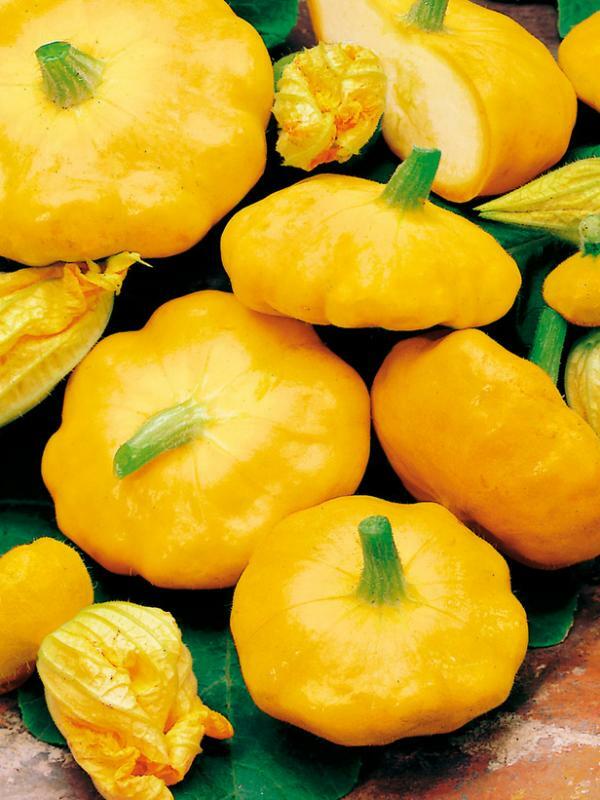 This gorgeous bright yellow scalloped patty pan summer squash is best picked young and small or can be left to grow to maturity and is then ideal for stuffing. When picked tiny can be pickled like gherkins for an extra special preserve. Great for vegetable kebabs on the barbeque. Easy to grow, early and very prolific so pick regularly for a constant supply throughout the growing season.